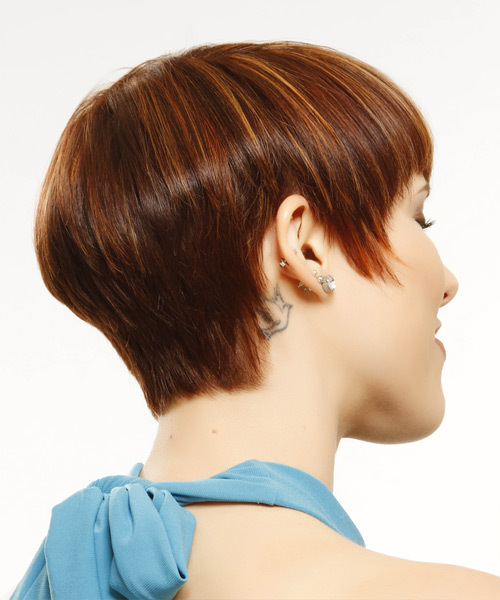 The back of this highlighted hairstyle is tapered into the head, while the sides are jagged cut and one side cut shorter than the other to achieve an asymmetric shape that will turn heads at any occasion. The bangs are soothed down to frame the top of the face and completes the style brilliantly. 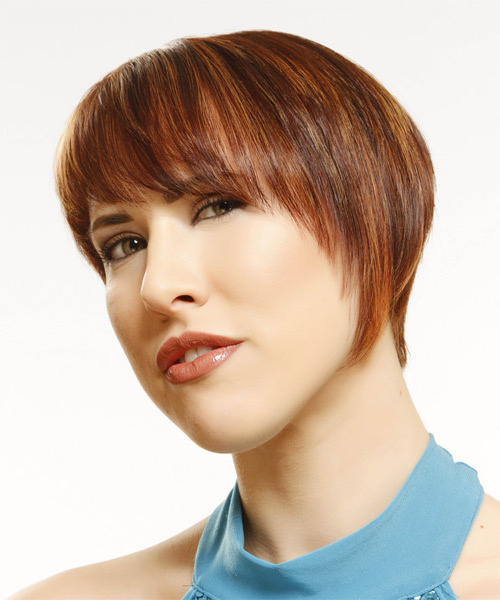 This fancy 'do is best suited for bold.